The term Hispanic has been in common use in the US to refer to immigrants from Spanish-speaking countries since at least the time of the 1970 census. This term has been used to refer to people living in the US who came from, or whose ancestors came from, a traditionally Spanish-speaking country. The term is not new since it began to be used in English with this sense in the late 19th century, but it wasn’t until the 1970s, after the US started asking people in the census about their national and ethnic origin in 1970, that the use of this word became widespread. The 1970 census asked a question that grouped all the people that come or whose ancestors came from any of those traditionall Spanish-speaking countries into a single category of people, whether they saw themselves that way or not. Thus, the term Hispanic came to be used in the US to group people whose background was Mexican, Puerto Rican, Cuban, or from another traditionally Spanish-speaking country, including Spain, a European country. Spaniards, however, were introduced a little bit through the back door, for they were not the people that the US was interested in counting. The main groups that the US government was interested in counting in 1970 were minorities in the US, namely Mexicans, Puerto Ricans, and Cubans, the three major Hispanic groups at the time. The word Hispanic was originally an adjective, as in She is Hispanic or They are Hispanic, but eventually it came to be used as a noun as well, to refer to individuals from this background, as in She is a Hispanic or They are Hispanics, as the article and the plural ending show. The word Hispanic comes from the Late Latin adjective hispānicus (fem. hispānica), which meant ‘related to Hispānia’. Hispānia was the name the Romans gave to the Iberian Peninsula, what today is Spain plus Portugal. Hispania was one of the first large areas that Rome conquered as it became an empire. Hispania was conquered between 220 BCE and 19 BCE and thus it took them 200 years to conquer the full peninsula. The word hispānicus contains the root of the word Hispania, namely Hispan-, to which the ‑ic‑ derivational suffix that turns nouns to form adjectives has been attached (hispān+ic+us). 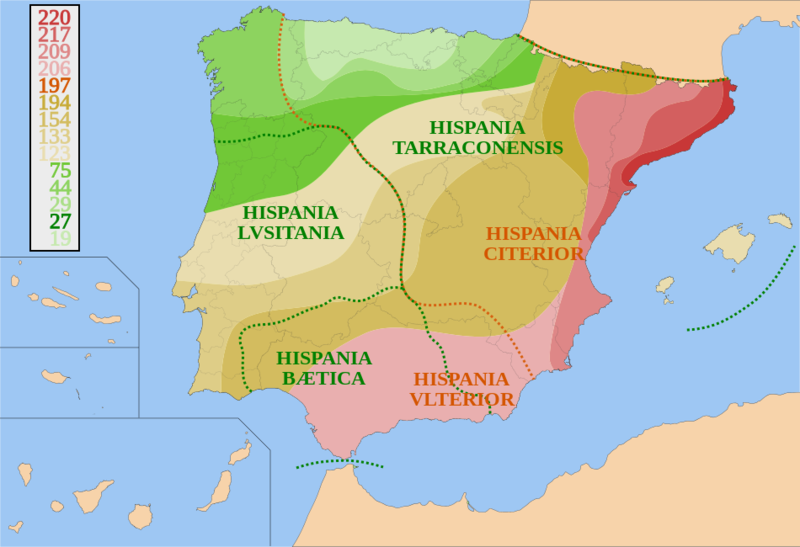 Hispania was one of the major provinces of the Roman Empire and an inhabitant of this province was known as hispānus (plural hispānī), something like ‘Spaniard’, though this is a modern term (in English) to refer to someone from Spain. This same word could also be an adjective in Latin, which in the nominative case of the word was hispānus for the masculine gender, hispāna for the feminine gender and hispānum for the neuter gender. This adjective hispānus was a synonym of (and came earlier than) the adjective hispānicus that we just saw, which is derived from the former. By the way, the origin of the Roman name Hispania for the Iberian Peninsula, from which the name of its inhabitants in ancient times derives, is often said to come from Punic (Phoenician) אישפן ‎(I-Shaphan), meaning ‘coast of hyraxes’ (shrew mice). This etymology, however, is highly questionable and we do not really know where the name came from or what it means. Before the Romans took over the Iberian Peninsula, the Greeks had named this land Iberia, after the Iberian people who lived in its eastern part of the peninsula, from where comes the geographical name of this peninsula, namely Iberian Peninsula (Sp. península Ibérica). The different colors show the dates in which the different parts were conquered. The adjective Hispanic came into English in the late 16th century and it was used only to refer to things and people related to Roman Hispania, that is, Hispania under Roman rule close to two thousand years ago. It is only by extension that this word came to be used by some in the late 19th century to refer to things having to do with Spain, the modern state that was formed some 500 years ago, after the Middle Ages, in (part of) what used to be Roman Hispania. The name of the country of Spain, España in Spanish, is the direct descendant of the Latin word Hispania. The word Hispania mutated into España the following way: Latin h always became mute in Old Spanish, short Latin ĭ always became Spanish e, and Latin ni always became Spanish ñ before another vowel (cf. Part I, Chapter 10). The word Spain in English is a “corruption” of the Latin word Hispania, which English borrowed probably in the 12th century from Old French Espayne or Espaigne (modern French Espagne). The word España started to be used informally in the late 15th century to refer to the union of what were at the time two of the three major kingdoms of what had been Roman Hispania, namely Castile and Aragon. The third major kingdom was Portugal and for a long time Spain had designs to include Portugal into Spain. This actually happened for a period of sixty years, between 1580 and 1640. As far as Imperial Spain was concerned, Portugal was part of Spain, but the animosities were strong and Portugal regained its independence and has remained independent to this day. The Spanish cognate of the adjective Hispanic is hispánico/a. This term is used in Spanish exclusively to refer to things having to do with Roman Hispania, not with Spain, just as Eng. Hispanic was used originally. Also, the word hispánico/a cannot be used as a noun, the way the word Hispanic can in Modern English. The closest equivalent to the English noun Hispanic is the adjective/noun hispano/a that we saw earlier. This word also refered primarily to people and things from to ancient Roman Hispania, but it had been occasionally used extension also to refer to Spain. Because of this, the word hispano has come to be the Spanish equivalent though it is not commonly used that way. In the United States, this adjective hispano/a has come to be used as a noun, as equivalent to the term Hispanic in English to refer to people who can claim their ancestry to a Spanish-speaking country. Note that Eng. Hispanic and Sp. hispano are not strickly speaking cognates in the sense that we use the word in this book, since although they contain the same stem or root (hispan‑), the also contain different suffix in the original words they come from. There is nothing obvious about the use of the word Hispanic to refer to people who are for the most part only distantly related to Roman Hispania, though they may be less distantly related to the Spanish language that developed after the fall of that empire. However, a term was needed to include groups of different nationalities in the US and this was the one chosen. The term Spanish would have been used, just like the term Italian is used for immigrants from Italy who speak Italian, but that adjective is used only for people from Spain, not from other Spanish-speaking countries. If Italian-speaking immigrants had come from different countries, not just one, the analogous term Italic, which originally meant just ‘of or relating to ancient Italy or its peoples or cultures’ (AHD) might have been pressed into service for that purpose. But since Italian-speaking immigrants only come from the country of Italy (established in 1860), we just call them Italians or Italian-Americans. Of or relating to Spain or Spanish-speaking Latin America. Of or relating to a Spanish-speaking people or culture. A U.S. citizen or resident of Latin-American or Spanish descent. Although the first definition refers to a speaker of the Spanish language, actually most Hispanics in the US agree that one does not need to be a Spanish speaker to be considered Hispanic in the US, since the term refers to heritage, not to language (see §6 below). It is probably not entirely true that the term hispano in Spanish has never been used to encompass all Spanish-speaking peoples, but that has been an ideological usage, never a popular one. Spanish rulers and intellectuals who were bent on advancing the Imperial Spanish ‘idea’ have often promoted the connection between Latin Hispania and Spanish Spain over the centuries and they have sometimes used the term hispano to refer to things related to the Spanish-speaking countries. This usage, however, has never caught the Spanish-speaking peoples’ imagination, who have never used the term that way. Thus, for instance, the traditional name in modern Spain for Spanish-speaking America, the old overseas empire, is Hispanoamérica ‘Hispanic America’, a word that contains the word hispano. After all, as we have seen the name Spain (España in Spanish) comes directly from the Latin name Hispania, the name for the Iberian Peninsula and one of the Roman provinces. If only Portugal had not been successful in remaining outside of the Spanish sphere of influence, the terms Hispania and Spain would now be equivalent, just like one identifies the Roman province of Italia with modern Italy. But, although the adjective hispano has been used occasionally the way Eng. Hispanic has been, the noun hispano has probably never been used in Spanish as a noun to refer to individuals from the Spanish-speaking world, other than as a calque of English Hispanic and only in the context of the United States. Of course, it is also possible to see the word hispano in Spanish in a different way. It can be easily analyzed as short for hispanoamericano, a person from Spanish America, that is, Spanish-speaking countries in the Americas. The Spanish word hispanoamericano, which is primarily an adjective but which can be used as a noun, is derived from the term Hispanoamérica that we just saw and it had been used to refer to a person from a Spanish-speaking country in the Americas. As such, that would not include people from Spain. Actually, the qustion of whether people from Spain belong in the category Hispanic as used in the United States is a tricky one. They certainly were not intended to at first, since the label was created in the 1970s to refer to disadvantaged immigrants from the Americas, not white Europeans from Spain. It seems that Spaniards did get in, through the back door, however, for the census questions leave open that possibility and because many Spaniards who come to the United States find it advantageous to be considered Hispanic. This, of course, on top of the obvious existing cultural and in many cases ethnic afinities between people from Spain and people from Spanish American countires. There is another term that competes with Hispanic in the US to refer to the very same people and this one is often said not to include people from Spain, though as we shall see, many Spaniards are happy to use it for themselves once they arrive in the US. The term is Latino, along with its feminine form Latina. Not all people labeled Hispanic by the US government have been happy with this label. The term Hispanic emphasizes the connection of these countries and peoples in the Americas to Spain, the imperial power, to the detriment to other cultural influences, namely, first, the indigenous (‘Indian’) one, which is great in many Spanish-speaking countries such as Mexico, Guatemala, and Peru, and, secondly, the African influence, which is strong in countries such as Cuba and the Dominican Republic. Because of this, some people who are labelled Hispanic in the US, have traditionally preferred other names for themselves, such as Latino, which has a feminine form Latina. This is particularly the case in the western United States. Note that because the word latino in Spanish is masculine, it refers only to males. The variant of this word for females is latina. In the plural, however, the intrinsically masculine form latinos can be used in Spanish to include males and females, though some find this sexist and prefer to double the word and say latinos y latinas ‘Latinos and Latinas’. In writing, the abbreviation Latin@ is sometimes used as short for Latino and Latina. The term Latino and its feminine form Latina are labels adopted by some US Hispanics as a reaction to the official Hispanic term since the middle of the 20th century. The word latino in Spanish is traditionally an adjective for things related to Latin, the language of the Romans, but that is not the way the term is used in this context. The word latino in Spanish as well as English is originally short for latinoamericano ‘Latin-American’ in Spanish. The term Latin America, like its Spanish equivalents Latinoamérica and América Latina, refers to the lands of the Americas (the American continent) that were colonized by ‘Latin countries’, that is, countries where the dominant language descends from Latin, primarily Spain and Portugal in this context. Actually, the term was created by the French in the 19th century in order to insert themselves in this ‘club’ of European imperial nations on the continent when they came to have imperial designs in it, particularly in Mexico after its independence from Spain. (France had already had colonies in the Americas, particular in what is now eastern Canada and southern United States, as well as everything in between. The famed Louisiana Purchase refers to the purchase by the United States of all those lands from France. The reason that the French felt part of the Latin club is, of course, that their language, French, also descends from Latin, the language of the Romans. By definition, the term Latino, unlike the term Hispanic, does not include people from Spain and it allows for the possibility of inclusion of people from Brazil, a Latin-American country whose main language is Portuguese and which has over 200 million people, half as many as people in the Americas from Spanish-speaking countries, but still a very significant number. The fact that latino is a term that excludes Spain has not stopped Spaniards (people from Spain) who live in the United States from labeling themselves Latinos too if they identify and associate with Latin Americans living in the US. In other words, the definition of the term Latino/a is somewhat vague and fluid, just like the term Hispanic is. The American Heritage Dictionary defines Latino as ‘a person of Hispanic, especially Latin-American, descent, often one living in the United States’ (my italics). As we can see, the definition is vague enough to include or exclude many people. It should be clear that, like Hispanic, Latino is not a label that Spanish-speaking (or Portuguese-speaking) people use for themselves outside of the context of the United States. Though often used interchangeably in American English, Hispanic and Latino are not identical terms, and in certain contexts the choice between them can be significant. … A more important distinction concerns the sociopolitical rift that has opened between Latino and Hispanic in American usage. For a certain segment of the Spanish-speaking population, Latino is a term of ethnic pride and Hispanic a label that borders on the offensive. According to this view, Hispanic lacks the authenticity and cultural resonance of Latino, with its Spanish sound and its ability to show the feminine form Latina when used of women. Furthermore, Hispanic—the term used by the U.S. Census Bureau and other government agencies—is said to bear the stamp of an Anglo establishment far removed from the concerns of the Spanish-speaking community. While these views are strongly held by some, they are by no means universal, and the division in usage seems as related to geography as it is to politics, with Latino widely preferred in California and Hispanic the more usual term in Florida and Texas. Even in these regions, however, usage is often mixed, and it is not uncommon to find both terms used by the same writer or speaker. As you can see, the use of these terms is much more complicated than one might have thought. By the way, when speaking to other Spanish speakers, Hispanics in the US do not use the labels Hispanic or Latino/a for the purpose of self-identification. They rather refer to themselves by their country of origin, such as Colombian, Salvadoran, Argentinean, etc. In Figure 98 below, you can see a map that shows the paths followed by European conquerors of the New World, the American continent or the Americas, which in Spanish is known simply as América or las américas and in English more commonly as North America and South America. Although some Spanish speakers refer to the United States informally as América sometimes, many Spanish speakers resent the fact that the United States of America has appropriated the continent’s name to refer to the country, at least in colloquial language, for America was originally the name of the continent, even in English. More common even than the name America to refer to the United States is the use of the derived adjective American to refer to things related to that country. The reason for this may not be just an arrogant appropriation of the term that originally referred to the whole continent, however. It is just hard to make an adjective out of the country name United States of America. It is not impossible, however, and it could have been done, some claim. After all, Spanish has had no trouble creating the adjective estadounidense for just that purpose to mean ‘American, from the United States’. Thus, one can imagine that a similar adjective could have been created in English. Actually, Webster's New Third International Unabridged Dictionary has just such an adjective: which is written as two words or hyphenated: united statesian or united-statesian. Although no other major dictionary records this term, according to Webster’s, this is a noun to refer to ‘a native or resident of the United States of No. America’, and not an adjective like Spanish estadounidense. Needless to say, such a word has not caught on, but it is in at least one dictionary. As we saw earlier, both Spain and Portugal comprise the territory of the Roman province of Hispania. Spain, however, appropriated the name of the province. Nowadays, when we want to refer to things pertaining to both of these countries we use the term Iberian, which one dictionary defines as ‘relating to Spain or Portugal, or its people’ (DOCE). Remember that the Iberians (Sp. iberos) were one of the peoples of the Iberian peninsula when the Romans arrived. In Spanish, the cognate adjective of Iberian, namely ibero, is not used this way other than in the compound word Iberoamérica, the somewhat formal name for the part of the American continent colonized by Spain and Portugal. In other words, Iberoamérica is the Spanish equivalent of Latin America in English and it is equivalent to Latinoamérica and América Latina in Spanish. The adjective form of Iberoamérica es iberoamericano/a. The only other compound in which the morpheme ibero appears in Spanish is iberorromano, which refers to Iberian art during the Roman period. Spain and Portugal are two of the “Latin countries” of Europe, that is, countries that were part of the Roman Empire and whose languages descend from the Latin language. The two other major “Latin countries” are France and Italy. Spain is the “mother country” of 20 Spanish countries in the Americas, comprising close to 500 million people (Spain has about 46 million). Portugal is the “mother country” of Brazil, a country with over 200 million people who speak Portuguese (the US has over 320 million; Portugal has about 10 million). The French, on the other hand, did set foot in the Americas, from Haiti in the Caribbean (French West Indies) to about one third of North America, from Louisiana to Quebec. However, the French did not colonize the lands to the same extent as the Spanish and the English and eventually sold or lost the North American territory to the United States and to England in the early 1800s. In North America, descendants of the French colonists still speak that language in the province of Quebec in Canada and a few still remain in Louisiana that do as well. Almost 12 million people in the United States consider themselves French Americans, that is, people of French or French Canadian descent. Interestingly, a few decades after France lost its North American possessions in the 19th century, France attempted to intervene in Mexico after it became independent from Spain in order to secure markets for France. It was in this context that a French thinker, Michel Chevalier, suggested the name Latin America for the lands colonized by Latin countries and suggested that they should unite with those European countries against “Anglo-Saxon” or “Teutonic” America colonized by the English. Thus, the term Latin-America was from its inception one that was contraposed to the term, or at least the concept of Anglo-America. The morpheme Anglo was originally a Medieval Latin morpheme, used only in compounds. It was derived from the Latin name for the Angles (Latin Anglii), a people from a region that is now in Denmark known as Angul. In English, Anglo is only used as part of a number of compounds, such as Anglo-French (as in Anglo-French War, a war between the English and the French in 1778–83), and Anglo-America, the informal term for ‘English-speaking America’. In Spanish, anglo can also be used only in compounds, such as anglófono or its synonym angloparlante, which used as adjectives mean ‘English speaking’ and, as a noun, ‘English speaker’. Another common term is angloamericano, which means ‘Anglo-American’, ‘American of English descent’ or, more generally, ‘English-speaking (prototypically white) North-American’. Spanish speakers in the US sometimes use the adjective and noun anglo by itself, not as part of a compound, but then it is nothing but a shortening for angloamericano. In this context, Sp. 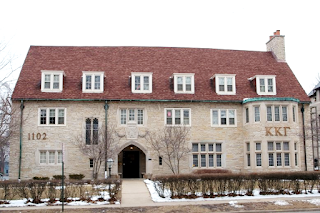 anglo is opposed to Sp. latino which, as we saw, is a shortening of the term latinoamericano. The term anglosajón ‘Anglo-Saxon’ is sometimes used in Spanish as well as a synonym of these other terms to refer to English-speaking North-Americans that are of English or other European descent, but assimilated to the general culture. Chicano is used only of Mexican Americans, not of Mexicans living in Mexico. It was originally an informal term in English (as in Spanish), and the spelling of the first recorded instance in an American publication followed the Spanish custom of lowercasing nouns of national or ethnic origin. However, the literary and political movements of the 1960s and 1970s among Mexican Americans established Chicano as a term of ethnic pride, and it is properly written today with a capital. While Chicano is a term of pride for many Mexican Americans, it remains a word with strong political associations. Since these politics are not necessarily espoused by all Mexican Americans, and since usage and acceptance of this word can vary from one region to another, an outsider who is unfamiliar with his or her audience may do well to use Mexican American instead. Going back to the US Census, in recent years, different terms have been included in the questions this government agency asks the US population. In the 2010 census, the relevant question was whether the person is “of Hispanic, Latino, or Spanish origin,” with all three terms being used as equivalent for the purposes of the census. Such people are defined as “persons of Cuban, Mexican, Puerto Rican, South or Central American, or other Spanish culture or origin regardless of race”. This census grouping is obviously based primarily on country of origin, not so much on ethnicity or cultural heritage, and not on race, as the last part of that definition makes clear. In other words, a Hispanic person can be of any “race”, which in the context of the United States means basically Black and White. The word race /ˈɹeɪ̯s/ (Sp. raza /ˈra.θa/) originally meant ‘group of people connected by common descent’ (OED) when the word first appeared in Europe around the 15th century. This word came into English with that meaning from Middle French in the 15th century, where it also had that meaning: ‘race, breed, lineage, family’. French may have gotten the word from Italian razza ‘kind, species’ (attested in 1388), perhaps from an earlier masculine noun razzo (attested circa 1300) which had the meaning ‘descent, lineage’ but only regarding horses (OED). These words are cognates of Spanish and Portuguese raza. Spanish raza (first attested in 1438) probably came from Italian too, or else from Catalan (first attested in 1400). The final origin of this word is not known, however. It has been suggested that it came from Lat. ratio ‘calculation’, which in Late Latin it may have meant something like ‘descent’, but nothing is certain. One thing that is obvious is that the Black and White racial categories used in the United States are quite different from the ones used in the Spanish-speaking world, where race is a much more fluid and vague concept. Still, perhaps because of the sharp racial distinctions made in the US, many non-Hispanic Americans do tend to think of Hispanics as a racial category, alongside the White and Black racial categories. After all, many Hispanics are darker than European-Americans are, but not as dark as African-Americans, so it makes some sense for an outsider to think of Hispanics as a racial category, which sometimes one hears labelled as Brown. This, of course, ignores the fact that there are European Hispanics, who are obviously White, by US standards, and African Hispanics, with very little mixture from other ‘races’. Because Hispanic/Latino is not a racial category, once a person has answered affirmatively the question we just mentioned in the census, they are asked about their racial identification. The racial categories in the 2010 Census are as follows: White or European American, Black or African American, American Indian and Alaska Native, Native Hawaiian or Other Pacific Islander, Asian, plus ‘Some other race’; respondents may choose more than one racial and/or ethnic category. A hyphenated term of self-identification among Hispanics that one hears more and more in recent years is Afro-Latino. According to a recent poll, almost a quarter of all Hispanics (in the US) identify as Afro-Latino. Afro-Latinos are people from Latin America with African roots and who identify with such roots. Interestingly, many people who identify as Afro-Latinos consider themselves to be white. There is no doubt that the racial identification of Hispanics is much more complex than the simple Black-White one typically finds in the United States. The Census is experimenting with new ways of asking people about race and ethnicity to get a better grasp on individuals’ self-identification, which is not as simple and clear-cut as the labels that we have typically used to classify people in this country. It is important to notice that although experts are clear that Hispanic/Latino are ethnic, not racial categories, Hispanics themselves are not so clear about the meaning of these terms. There seems to be a lot of confusion about racial vs. ethnic classifications. At the very least, we can say that for many Hispanics, the ethnic and racial categories are blended somehow. Thus, for instance, in the 2010 census, 37% of Hispanic respondents were unable to choose among the racial categories provided (‘white, black, Asian, American Indian or Pacific Islander’) and many wrote in labels such as Mexican or Hispanic. And a recent Pew survey revealed that a full two thirds of young Latinos consider that their Latino background is indistinguishable from their racial background. Thus, 11% of the Latino respondents of this survey consider Latino to be a racial category and 56% of them considered it to be a combined ethnic-racial category. Only 19% responded that it was strictly an ethnic category (13% said they did not know). To be fair, we must not forget that in Spanish, the word raza ‘race’ has been used in the past with its earlier sense to a much greater extent than Eng. race has been to refer to a group of people that can be distinguished from others by external characteristics. This use perhaps is more prevalent in Mexico than in other Spanish-speaking countries. In general, most Spanish dictionaries stick to the more recent senses of the word raza, but the María Moliner dictionary includes the following sense for the word raza (in addition to a few other ones): ‘an extended human group in which inherited characteristics can be distinguished that make it homogeneous and different from other groups, e.g. Germanic race, Latin race.”[b] In other words, the word raza is used in the sense of observable characteristics due to common descent that may be not genetic but cultural, based on observable characteristics that make a group of people look different. This is somewhat similar to the sense of the Latin word gens (the source of Sp. gente) or nation, before the rise of the nation-state in the 18th century. Who is to say that that sense of race is less useful or accurate than the biological one, which is grossly inaccurate and subjective, for as we have seen, there is no such thing as human races, objectively speaking. Thus, it is not surprising that individuals who are not familiar with the modern theories of race and ethnicity confuse these terms, especially since the term race is so ambiguous and vague. Since Hispanics in the US are those who trace their descent to ancestors in Spanish-speaking countries, one may wonder about the importance of the Spanish language in self-identification in this group. After all, one does not expect Italian Americans to speak Italian or German Americans to speak German, although one does expect someone from Italy (an Italian) to speak Italian and someone from Germany (a German) to speak German. However, because the percentage of US Hispanics who speak Spanish is higher than the percentage of Italian-Americans who speak Italian, the connection between language (Spanish) and ethnicity/origin (Hispanic) is certainly stronger in the minds of most people in this country. However, as we mentioned earlier, language is not a necessary ingredient for someone to be considered Hispanic or Latino/a in the United States, at least for most people. For most Hispanics (and non-Hispanics) in the US, anybody who claims Hispanic ancestry can be considered to be Hispanic and a Hispanic. There are many Hispanics who do think that speaking Spanish is a requirement for being considered Hispanic, namely 28% of all Hispanics by one count, but the majority do not agree: 71% do not think it is necessary. There is a difference, however, as to how US-born Hispanics and foreign-born Hispanics (in the US) think about this matter. Thus, although only 11% US born Hispanics think speaking Spanish is necessary for someone to be considered a Hispanic, 41% of foreign-born Hispanics do think it is necessary. There is little doubt, however, that the tendency is for Hispanics to lose their language after one, two or at most three generations after arriving in the US, just like Italian immigrants and all other immigrants lost their language. The fact is that at present, there are many Spanish-speaking Hispanics, but that is because they have arrived in large numbers in the last 25 years, but it is not likely that they will keep arriving in such large numbers. The myth that Hispanics are not assimilating to the English language is probably also because one third of all Hispanics are not proficient in English, but this involves the recent arrivals. However, most of the growth in the Hispanic population is now due to US births and this population’s primary language is English and the degree to which they speak and use Spanish varies a great deal. The US Census Bureau projects that the Hispanic population will be 66.4 million in 2020, or 19% of the US population. The projections for the year 2050 are of 132.8 million people, or 30.2% of the US population. In recent years, this growth is attributed not primarily to immigration (35.8%) but to ‘natural increase’ (having children) (64.2%). Between the years of 2000 and 2011, for example, the US population grew by 30.2 million, 55.5% of which were Hispanics. According to the Census Bureau’s 2013 American Community Survey, 26% of those who self-identify as Hispanic/Latino speak only English at home. Of the remaining 74%, 41% speak English very well and speak Spanish at home to a greater or lesser extent. It is not clear, however, how well the remaining 74% speak Spanish and how much Spanish they speak at home or elsewhere, for people often inflate their self-reported language ability. It is also clear that there is a whole range of linguistic ability, from fluent to semi-fluent to barely fluent (semi-speakers). The less fluent speakers are, the less likely it is that they will pass their weaker language to the next generation. Finally, there is no reason to believe that Hispanics are not assimilating at the same rate as immigrants from other nationalities. This means that in two to three generations the immigrant language will cease to be passed on in most families. One cannot help but notice the irony of this language loss situation, for Spanish is a language that for hundreds of years has found itself at the top in many language contact situations, either because of its prestige or because its imposition, but now it finds itself at the bottom and struggling (cf. Part I, Chapter 2). Contact with Spanish has been the direct cause for the decline and even loss of many languages in the last five centuries, in Spain as well as mainly in the Americas (cf. Part I, Chapter 10). But now it is Spanish itself, in a contact situation with English in North America, that finds itself in decline in this region (though not elsewhere, of course). [a] The AHD includes the following usage note with their definition of race: ‘The notion of race is nearly as problematic from a scientific point of view as it is from a social one. 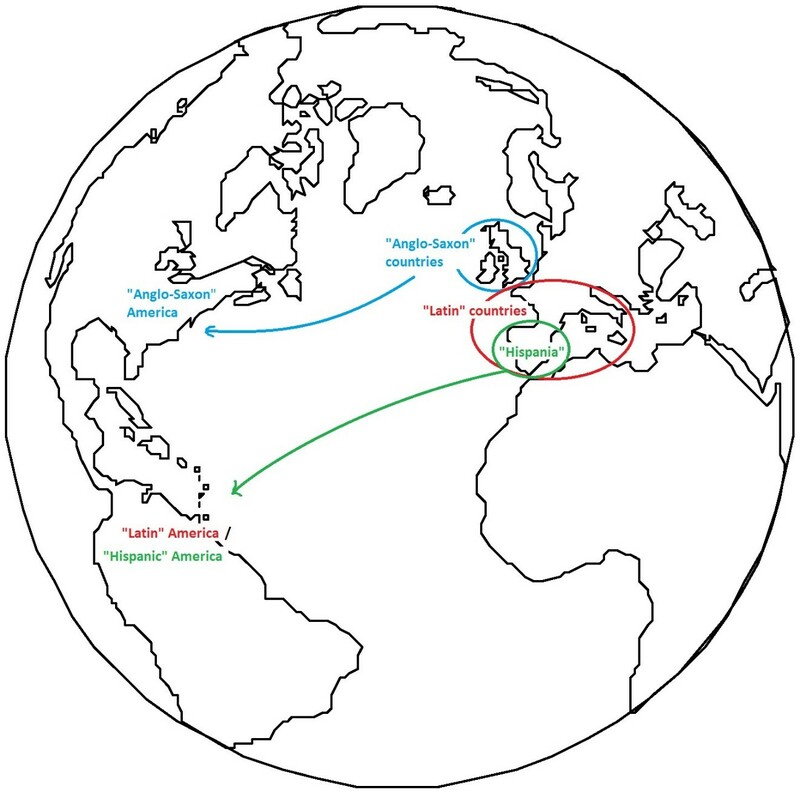 European physical anthropologists of the 17th and 18th centuries proposed various systems of racial classifications based on such observable characteristics as skin color, hair type, body proportions, and skull measurements, essentially codifying the perceived differences among broad geographic populations of humans. The traditional terms for these populations—Caucasoid (or Caucasian), Mongoloid, Negroid, and in some systems Australoid—are now controversial in both technical and nontechnical usage, and in some cases they may well be considered offensive. (Caucasian does retain a certain currency in American English, but it is used almost exclusively to mean “white” or “European” rather than “belonging to the Caucasian race,” a group that includes a variety of peoples generally categorized as nonwhite.) 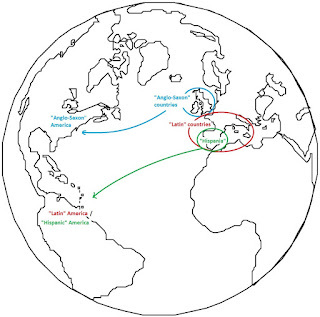 The biological aspect of race is described today not in observable physical features but rather in such genetic characteristics as blood groups and metabolic processes, and the groupings indicated by these factors seldom coincide very neatly with those put forward by earlier physical anthropologists. Citing this and other points—such as the fact that a person who is considered black in one society might be nonblack in another—many cultural anthropologists now consider race to be more a social or mental construct than an objective biological fact. Actually, Portugal was part of Spain for 80 years in the 16-17th centuries, but it managed to slip away, just like the colonies would slip away in the 19th century, much to the Spanish nationalists’ chagrin.